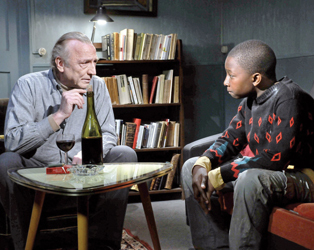 We are delighted to offer one lucky winner a superb prize to celebrate the opening of Aki Kaurismäki’s latest feature, Le Havre, at the IFI on April 6th! Answer the question below correctly and you could win the Aki Kaurismäki Collection Volume 3 on DVD (includes Crime and Punishment, Calamari Union, Hamlet Goes Business, Le Vie de Bohème) and a film poster of Le Havre! All courtesy of our friends at Artificial Eye. Le Havre is screening at the IFI from April 6th to 19th.